Toronto, Canada, September 29, 2017 – The MAC Group (www.MACSuites.ca), a family-owned and operated company that offers executive furnished rentals, luxury vacation rentals, and real estate brokerage services, is pleased to announce that President Doriana Zohil-Morton was the recipient of the Member of Parliament Canada 150 Award for Citizenship. Held at the Toronto Botanical Gardens on July 1, 2017, the Member of Parliament Canada 150 Award for Citizenship recognizes exceptional community leaders for their valuable efforts. The award was originally inaugurated to celebrate Canada’s 150th milestone, and to also honour the people who have contributed to the development of the nation. 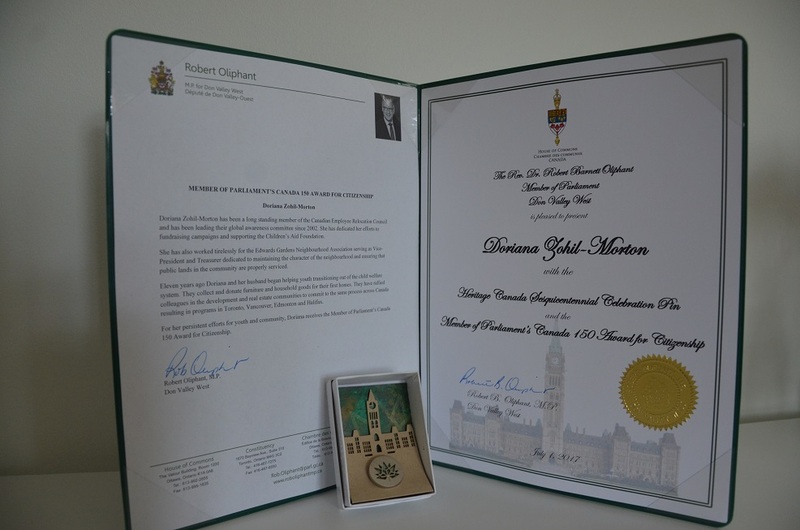 To be considered for the Member of Parliament Canada 150 Award for Citizenship, candidates have to be a citizen or permanent resident of Canada, have made a significant contribution to their community within Canada or achieved something abroad that brought credit to the nation, and have demonstrated good citizenship within their community. Zohil-Morton was recognized for her outstanding leadership with the Canadian Employee Relocation Council’s global awareness committee, her involvement in the Edwards Gardens Neighbourhood Association as President, as well as her efforts in helping youth transition out of the child welfare system, through the Children’s Aid Foundation of Canada. “We live in an incredible country and our efforts as a community, no matter how great or how small, can really have an impact on the quality of life for our citizens. There’s nothing that makes me prouder than being Canadian and it feels incredible to be recognized by leaders of the country for my efforts,” says Zohil-Morton. 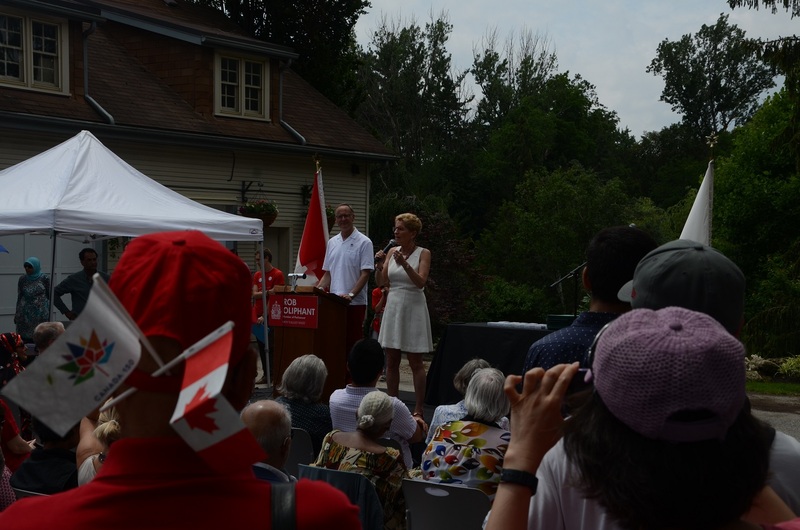 The award ceremony was hosted by MP Rob Oliphant, who was accompanied by Ontario Premier Kathleen Wynne. The government officials awarded each recipient with a certificate and a limited-edition pin that quite literally embodied the nation— it was fashioned from pieces of copper collected from the roof of Canada’s Parliament during a recent renovation. The MAC Group is a family-owned company with over 40 years of hospitality and real estate experience. They specialize in furnished rentals, luxury vacation rentals, as well as real estate brokerage services. For more information, visit their web site at www.MACSuites.ca.